For Berbay’s latest Cultural Camaraderie outing, we visited The Broad, one of downtown Los Angeles’ newest contemporary art museums. The museum holds more than 2,000 works by artists, including Jeff Koons, Andy Warhol, Roy Lichtenstein and Cindy Sherman. In addition to the permanent collection, we also got to see a special exhibition of Japanese artist Yayoi Kusama’s Infinity Mirror Rooms. Kusama is known for her large, colorful installations and her repetitive use of polka dots. 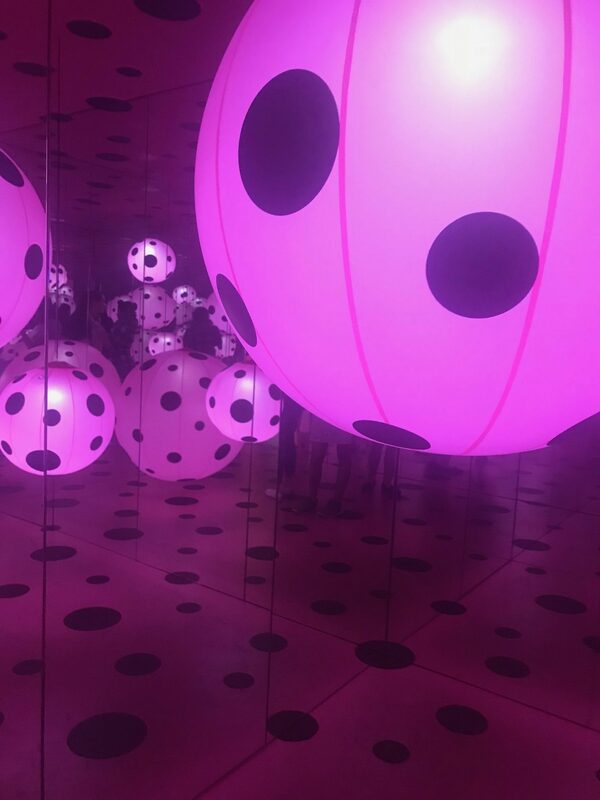 “Yayoi Kusama: Infinity Mirrors” is the first time in almost 20 years that a significant body of her work has been brought to North America. We were lucky to catch the exhibit at The Broad before it moved on to the Art Gallery of Ontario in Toronto. 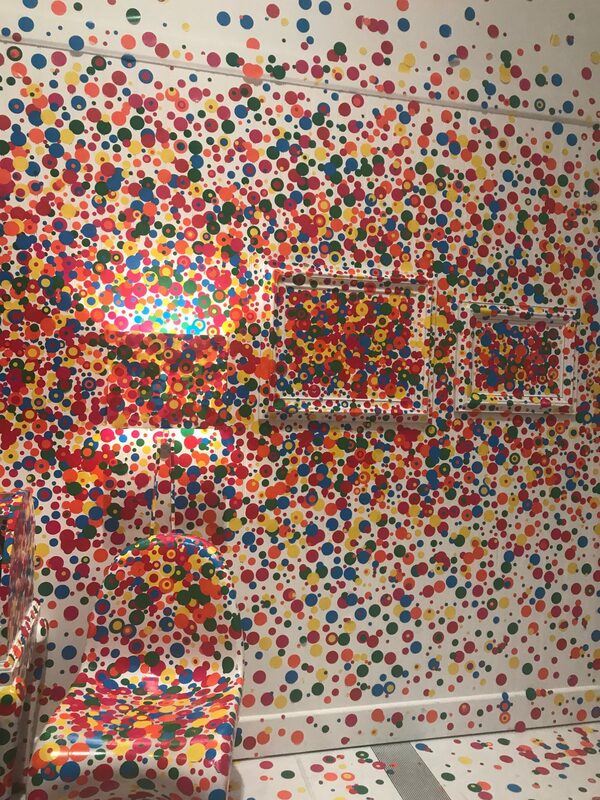 We also enjoyed “Obliteration Room,” an entirely white room that was furnished to look like a living room. When we entered, museum staff gave us colorful, circular stickers that we could put anywhere. This was the only part of the exhibit that we could touch, and everyone liked that it was interactive. It was interesting to see where people put the stickers and to see the white room transform. 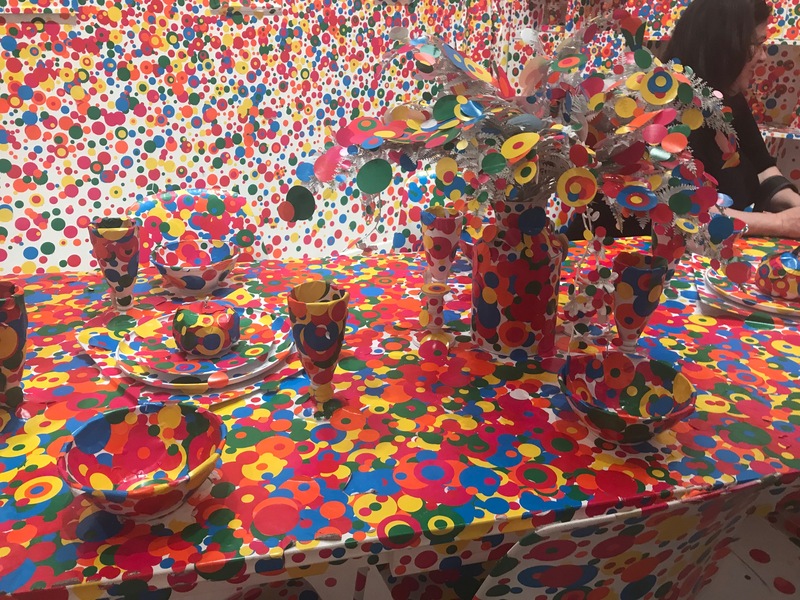 Kusama’s artwork is certainly thought provoking, and I hope to bring some of that creativity into my everyday life and work. Launched in 2016, Berbay’s Cultural Camaraderie focuses on exploring the vibrant culture that is Los Angeles as a stimulus for innovative thinking and creativity as well as enjoying time together outside of the office. Prior outings have included visits to The Gamble House, Hollyhock House and The Arts District Los Angeles, to name a few.